If you dream of becoming an audio engineer, you have your pick of high-quality choices for your schooling, whether technical schools devoted to the field or programs offered by private or public colleges and universities. 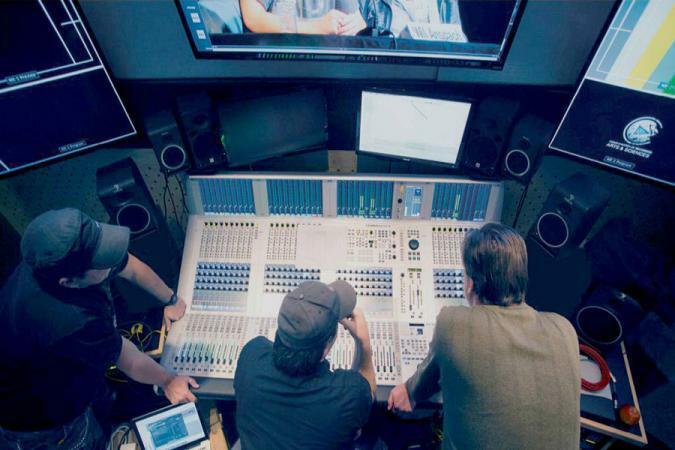 The following schools are included on numerous lists of outstanding audio engineering programs, including those published by Audio Assemble, AudioEngineeringSchool.net and Study.com. Full Sail University, located in Winter Park, Florida, got its start as in 1979 as Full Sail Recording Workshop. Focusing on careers in the entertainment industry, the university offers certificates, bachelor's degrees and graduate certificates. Many of these programs are available online as well as on campus. Accredited by the Accrediting Commission of Career Schools and Colleges (ACCSC), Full Sail University enrolls over 15,000 students and boasts distinguished alumni who have won Grammy, Emmy and Academy Awards for their work. Undergraduate applicants are required to have either graduated from high school or earned a General Equivalency Diploma (GED). To apply for admission at Full Sail University, you must complete an application, pay a $40 fee, and undergo an interview with one of their Admissions Representatives. Full Sail University offers five degree programs in audio engineering, four of which lead to a Bachelor of Science (BS) Degree and one which leads to a certificate. Each of the programs is designed so students can learn, hands-on, the technical tools of their trade along with foundational business skills needed to succeed. Audio Production Certificate - This online program takes five months to complete, and students take courses in the fundamentals of music, audio workstations, principles of music recording and sequencing technology. Credits are transferable to the Audio Production Bachelor's Program. Audio Production Bachelor's - Students develop the necessary technical skills for audio production in this online program, as well as the business skills to back them up. The Audio Production Bachelor's program requires 32 months to complete, and required courses include Audio Workstations, Mixing Techniques and Audio Postproduction. Music Production Bachelor's - Available both online and on campus, this program grounds students in music theory and composition, then teaches them about the tools of the audio engineering trade, such as hardware and software. The online program takes 32 months to complete while the campus program takes 20 months. Examples of required courses for the Music Production Bachelor's program include Musical Arrangement and Audio Engineering Techniques. Recording Arts Bachelor's - This campus program takes 20 months to complete and instructs students in various recording techniques used in professional audio engineering facilities. Students must take courses that include Recording Principles, Principles of Electronics, and Vocal Production. Show Production Bachelor's - In this 20-month, on-campus program, students learn audio engineering skills they will apply to live performances. Required courses for the Show Production Bachelor's program include Introduction to Show Production Systems, Lighting Concepts and Design, and Live Production Management. 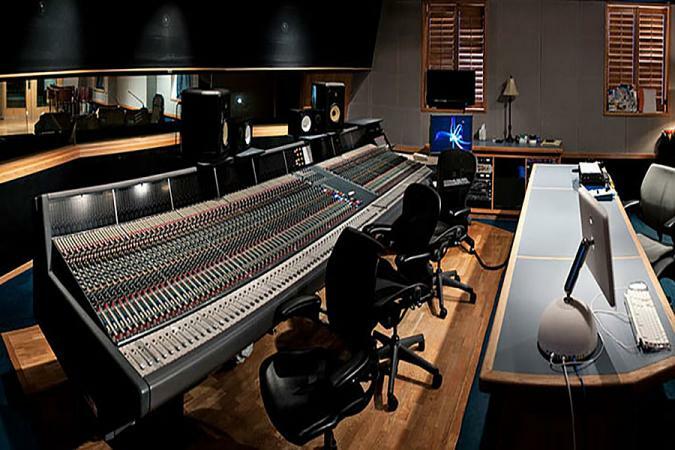 The Conservatory of Recording Arts and Sciences, widely known as CRAS, is a technical school that focuses entirely on preparing students for careers in audio engineering. It got its start in 1980 under the name Songshop, a recording studio that gave people training in audio recording skills. There are two CRAS campuses, located in Gilbert, Arizona and Tempe, Arizona. The school, which is accredited by the ACCSC, enrolls 700 students, and classes are small, capped at twelve students each. To apply to CRAS, you must complete an online application for admission. You'll also need to provide either proof of high school graduation or GED scores as well as information about any other education or employment and two personal references. When your application has been reviewed, you'll be contacted by an Admissions Representative for a telephone interview. The Master Recording Program at CRAS takes only eleven months to complete, but it is thorough and intensive. CRAS offers a diploma, including internships and certifications in hardware and software tools of the audio engineering trade, all of which prepare students for careers in the recording industry. Since CRAS emphasizes hands-on training, all classes are offered on campus and not online. Master Recording Program - Students at CRAS take 36 weeks of classes and learn about audio engineering technology as applied to five core areas, including Music, Live Sound, Broadcast, Film & TV, and Video Games. Required coursework includes Music Production, Music Technologies, Audio Business, and Live Sound. Internships - As part of the Master Recording Program, students take part in twelve-week internships, which are designed based on their particular field of interest and career aspirations. Internships provide important opportunities for students to practice the skills they've learned in real-world environments, thereby maximizing their employability on graduation. Certifications - CRAS students, as part of their experience at the conservatory, have opportunities to earn certification in hardware and software used in sound recording. There are sixteen certifications available, which cover audio production tools students will use in their careers, such as Pro Tools and Logic Pro. Though the Institute of Production and Recording (IPR), located in Minneapolis, Minnesota, is a small school with an enrollment of 243 students, it garners plenty of attention from the audio engineering industry. As a technical school, it's accredited by the ACCSC. The audio engineering programs at IPR award an Associate of Applied Science (AAS) degree. They take 18 to 24 months to complete if you're going to school full time. Audio Production & Engineering is a good program for students who are pursuing a career as production engineers. They will learn the various skills and tools of the trade, including audio signal flow, MIDI sequencing, and digital audio workstations. Required courses include Studio Audio Engineering, Desktop Production, and Career Planning. Live Sound & Show Production is designed for students who want to apply their audio production skills to live shows. Required courses include Event Production, Principles of Lighting Design, and Sound Reinforcement. Sound Design for Visual Media is a perfect program for students who want to work as sound technicians who design and produce audio to accompany visual media. You'll learn how to synchronize audio to video and create sound effects. Required courses include Audio Production for Visual Media and Video Editing. Belmont University, located in Nashville, Tennessee, is ranked number two on U.S. News and World Report's lists of Most Innovative Schools and Best Undergraduate Teaching. There are 7,700 students who attend Belmont University, a Christian school that focuses on liberal arts. Because the university is located in Nashville, a major international music hub, a large number of students at Belmont are pursuing careers in the music and entertainment industries. To apply for admission to Belmont University, you'll need to submit an application which you can do online or by downloading a paper application. There's a non-refundable application fee of $50. If you're applying as a freshman, you'll need to request official transcripts from your high school, and you'll need to have your ACT or SAT scores sent to Belmont. Your guidance counselor will also need to fill out a recommendation form. At Belmont University, the Audio Engineering Technology department is housed in the Curb College of Entertainment and Music Business. Students who major in Audio Engineering can earn either a Bachelor of Arts or a Bachelor of Science degree. In this four-year program, students will learn a full spectrum of audio engineering skills which will allow them to pursue careers in the field. Required courses include Critical Listening for Audio Production, Business and Audio, and Advanced Sound Reinforcement and Practicum. The program is the first of its kind to earn accreditation by the Accreditation Board for Engineering and Technology (ABET). The University of Denver, located in Colorado, ranks number 86 on U.S. News & World Report's list of the Top 100 Colleges in the United States. Over 11,600 students are enrolled at the university which was founded in 1864, shortly after the city of Denver itself came into existence. First-year students who want to apply to the University of Denver will first have to fill out an online application, whether Common Application or Pioneer Application. As part of the application process, you'll also need to write an essay and pay a $65 application fee. Belmont University will need to receive your official high school transcript or GED scores, along with official test scores (SAT or ACT). You'll also need to get your guidance counselor to submit a recommendation. Aspiring audio engineers will find much to like about Belmont University's Recording and Production program, which is housed in the university's prestigious Lamont School of Music. Students accepted into this four-year program will be able to work toward a Bachelor of Music degree in Recording and Production, which will prepare them for a career as producers or engineers for different musical genres, including rock, classical, and jazz. To be considered for the program, students must audition by submitting a recording demo. Required courses include Aural Skills, Audio Production Sequence, and Senior Production Project. The University of Hartford is located in West Hartford, Connecticut, and enrolls over 6,600 students, both undergraduate and graduate. The university houses the Hartt School, a conservatory for the performing arts, as well as Hartt Recording Studio, which is staffed by students who are studying Music Production and Technology. The studio records more than 400 performances a year for the Hartt School and the surrounding community. To apply for admission to the University of Hartford, you'll have to fill out an application, whether online or paper, and have your official transcripts and ACT or SAT scores sent to the Admissions Office. Students interested in gaining admission to the Music Production and Technology program or the Acoustical Engineering and Music program will need to submit a recording for an audition. The University of Hartford offers three programs for students interested in audio engineering. Each leads to a Bachelor's Degree and requires four years to complete. The program you choose will depend on your particular career aspirations. Music Production and Technology - This program is associated with the Hartt School and is designed especially for musicians who want to learn production skills. Music Production and Technology majors will work toward earning a Bachelor of Music (BMus) and will take courses that include Tonal Form and Analysis, Electronics for Music Systems, and Music Production Techniques. 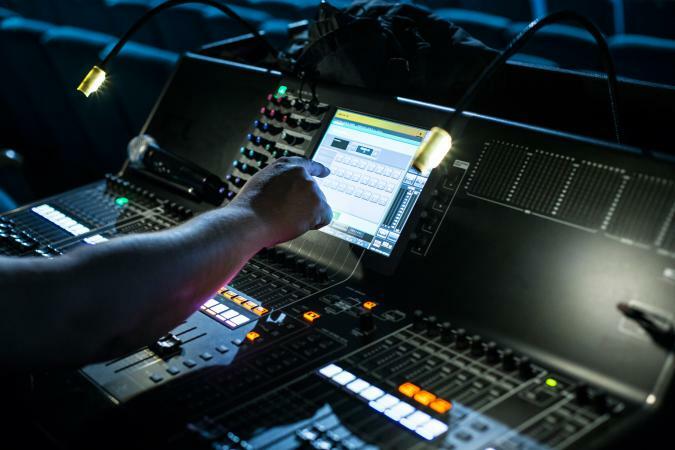 Audio Engineering Technology - Graduates of this program will earn a Bachelor of Science and will be prepared to work as sound technicians in all kinds of venues, including broadcasting and multimedia firms. Required courses in Audio Engineering Technology include The Art of the Audio Mix for Engineering Technology and Principles of Media Recording. 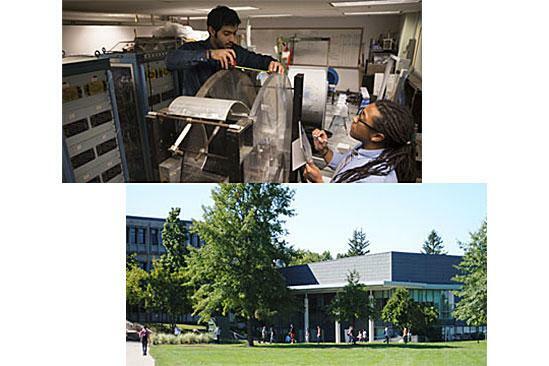 Acoustical Engineering and Music - This program is associated with the Hartt School and is also accredited by ABET, the Engineering Accreditation Commission. It requires a strong background in math and science, and graduates will earn a Bachelor of Science in Engineering (BSE) degree. Sample courses from the Acoustical Engineering and Music program include Fundamentals of Architectural and Musical Acoustics and Acoustic Engineering by Design. Located in Boston, Massachusetts, Berklee College of Music is the largest independent music college in the United States and enrolls approximately 4,000 students. The college boasts distinguished alumni who work in the music industry, including Quincy Jones, a famous producer and arranger, and Arif Mardin, producer and Vice President of Atlantic Recording Studios. For undergraduate admission to Berklee, you'll need to submit an online application with a $150 application fee. You must also undergo a live audition and an interview which you can set up on your application for admission. You'll also need to have your official high school transcript or GED scores sent to the Admissions Office. The Music Production and Engineering program at Berklee prepares students to become music producers, combining musicality with top-notch audio engineering skills. Students can apply to enter the MP&E program their second semester once they have twelve credit hours under their belts. It's a four-year program that emphasizes hands-on experience at sixteen professionally equipped studios across campus, and graduates will earn a Bachelor's Degree. Examples of required courses include Critical Listening Lab for Musicians, Audio and MIDI Systems for Music Production, and Music Production for Records. Middle Tennessee State University is known internationally for its Department of Recording Industry, which ranks number seventeen on Hollywood Reporter's list of the Top 25 Music Schools worldwide. Located in Murfreesboro, Tennessee, MTSU enrolls 22,000 students. In addition, you need to have completed a curriculum of college prep courses at your high school. If you don't meet the requirements for guaranteed admission, you might be able to be admitted on review, which involves submitting a personal statement form. The Audio Production program is part of MTSU's Department of Recording Industry, an internationally renowned music business program. Its students, alumni and faculty members have garnered awards far and wide, including a Grammy Award, a Recording Industry Outstanding Alumni Award and a Crystal Award for Excellence in Audio. The four-year Audio Production program leads to a Bachelor of Science Degree and is suitable for people who want to pursue careers as audio engineers or producers who work in the studio or on live performances. Courses include Musicianship for Engineers, Survey of Audio Technology and Audio Signals and Systems. If you love mixing the science of sound production with the art of musicianship, then you're in luck. As an aspiring audio engineer, you have many options to choose from with regards to programs that will put you in an excellent position to launch a rewarding career.